For Granted or for Grace? No doubt many of you know the name, Jan Karon. She’s the author of the Mitford series, named after the fictional village tucked into the Blue Ridge Mountains where most of her compelling stories take place. Within the pages of these thirteen books live Father Tim, an Episcopal priest, and a delightful cast of eccentric, endearing characters. One of Mitford’s residents is Dooley, a foster child who is eventually adopted and the recipient of God’s generous, providential care. Isn’t that a wonderful quote? I copied it down with the thought, I want to be like Dooley and take all gifts for grace—never for granted. A praise song that causes my heart to overflow in joyful, reverential tears. A word of instruction or encouragement that speaks to a need in my life with uncanny accuracy. Participation with God in his creation–even if it’s just in the yard. 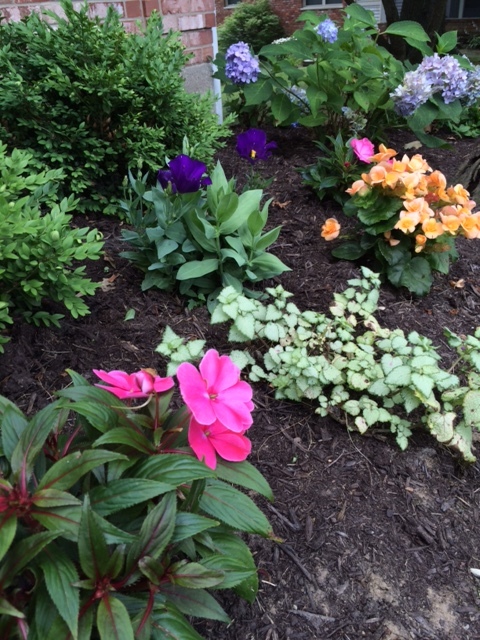 Gardening offers great pleasure and a sense of his presence in the beauty of leaf and flower; the concert of bird song as I putter; the aroma of soil, grass, and blooms; the delicate softness of petals–all gracious gifts of my Heavenly Father. Holy beauty in a writer’s words (even in a secular work)–words like: “Lingering as long as it could, sunset’s sad joy filmed over the day with a delicate blush…” (Susan Vreeland, Lisette’s List, 355). To “take all gifts for grace” can produce ethereal joy. For a moment we experience the transcendent, as if the veil between heaven and earth is parted ever so slightly, and a single beam of God’s shimmering glory pierces through the dullness. Suddenly we’re basking in the warm euphoria of his presence. We never want the moment to end. But inevitably the splendor begins to fade and we’re left reeling like Jacob—as though we’d been transported to the gate of heaven (Genesis 28:17). And we’re anxious to repeat the experience. Is it wrong to desire frequent glimpses of God’s glory? I don’t think so. Yes, on the one hand we’d be misguided to try and evoke such moments (“Come on, tears! FLOW!”). On the other hand, surely God wants us to live aware, alert to receive those gifts of grace when he sees fit to grant them. 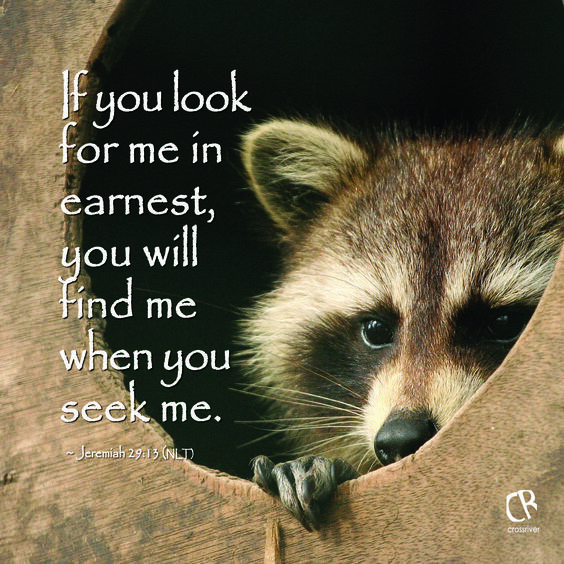 Surely watchfulness is part of seeking—seeking to know him more intimately, to experience him more profoundly (Jeremiah 29:13). And as we grow in our awareness of these glory-infused moments, we begin to realize how often they really do occur. 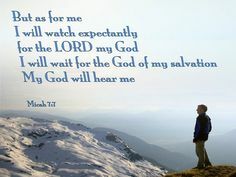 See him in the towering mountains and trees, the powerful oceans and rivers. There is glory in the grandeur. Hear him in a pounding waterfall and crashing thunderstorm. There is glory in the power. 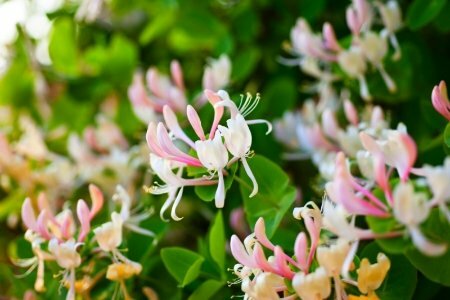 Feel him in a soft breeze and gentle rain. There is glory in the whisper. Take in his aroma from the pungent pine tree and sweet honeysuckle vine. There is glory in the refreshing. In fact, his glorious gifts of grace are all around us. Thank you, oh God, for the gracious display of your splendor throughout each day. You fill my heart with wonder and joy every time I catch a glimpse of your glory—from an early morning bird chorus to a liturgical dance performed by children, from the encouraging word of a friend to the warm welcome of strangers. I praise you that your gifts of grace are bestowed with such delightful creativity! May I never take them for granted. What gift of grace has filled your heart with euphoric gratitude lately? Tell us about it in the Comment section below! This is going to sound really weird, but it was a pile of hot dogs that filled my heart with gratitude the other day. We grill up these monstrous all beef hot dogs, a huge package of 24 at once. We have 3 dancers (one a teenage boy/man) in the house and these provide a quick protein warm up through the week when we are busy. This past week, I cut my carb intake to get myself back to a healthier mindset and it felt like there was NOTHING to eat. So we grilled up the dogs and as I loaded the pile of leftovers I felt a sudden rush of gratitude for the abundance of food we enjoy. Deprivation in my world is only by choice, and we’re blessed with restaurants in the family so we never have had to tighten the ‘ol belt, even in financially tight times. For some reason, at that moment, I took those hot dogs for grace, not for granted, and it was so sweet to thank my Father for them! I’m smiling at Rebeca’s post, too! And at your dissection of the word ‘a bun dance’, Nancy! Love it! Oh, I love this post, Nancy! I’m grateful for health and sanity enough to pack for a trip, coming up tomorrow. And I’m grateful to have two new-to-me Jan Karon books to take along for fun reading. Since your comment above, Steve and I have hosted our daughter and granddaughter for a visit. Her husband wasn’t able to come, otherwise the whole family would have been present. Meanwhile, you’ve taken a trip! ‘Hope you had as glorious a time as we did. 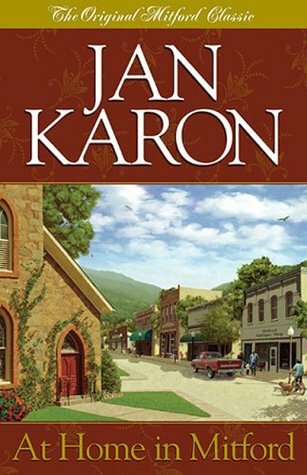 Two new Jan Karon books no doubt enhanced your journey! So glad you found the post worth amen-ing, Janet! Praise God for his inspiration. Taking gifts for grace instead of for granted… What a wonderful way to ‘see’ things! Just last Wednesday I had cataract surgery on the right eye (left eye was done in June). This time things were a little rough, encountering some edema. It felt like I had a sinus infection…headache, face ache, tenderness and redness above and around my eye, the feeling of a foreign object in my eye…and blurriness and pain that didn’t go away the next day. The doctor gave me some drops and two pills. The following day the edema had gone from 50 to 11. The blurriness was gone; still some slight discomfort. Today I’m doing really great. So my eyesight I appreciate through grace…not taking it for granted at all…especially since my Dad is blind. And the only time I need corrective lenses is while reading. And how blessed I am to have my sight! Oh, yes! 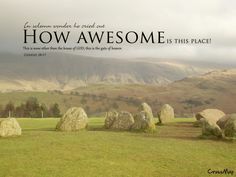 Praise God for each of our senses with which to enjoy his creation, in so many ways! ‘Glad to hear you’ve recovered from your surgery–although I would have preferred it had been problem-free!